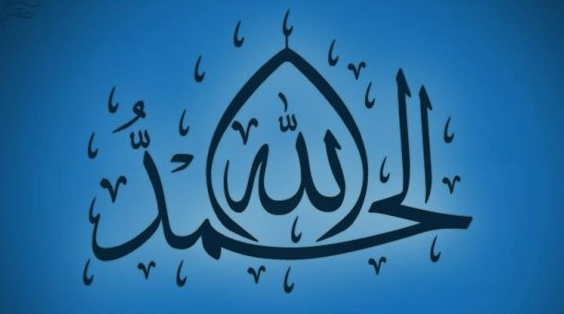 On This page, you can read/ download Tafheem ul Quran in English, Urdu, Bangla, Pashto, Malayalam, Kannada, Turkish, Gujrati, and Tamil Languages. Tafheem is one of most famous contemporary exegesis of Quran in present world and is translated in numerous languages. This book, however, was subjected to some criticism as well. However, points raised by critics have been adequately answered by scholars. Following is one of the useful books in this regard. It goes without saying that Maulana Maududi’s monumental translation and commentary of the Holy Qur’ān is most read, most published, most circulated translation and commentary in the Urdu language. It has been translated in to more than twenty other languages, including English, and has maintained its popularity across these languages. This commentary has left profound and lasting impressions on its readers spread all over the world and has always been an excellent resource for the seekers of knowledge. English translation of Tafhim was undertaken twice. First by Late Chaudhry Mohammad Akbar of Sialkot in whose house Maulana Maududi used to stay whenever he visited Dr. Iqbal’s home town. His translation was in 5 volumes, last of which was rendered into English by Mr. Abdul Aziz Kamal. Chaudhry Mohammad Akbar’s translation ends at chapter Al-Hajj but was edited and made ready for publication by Mr. A.A Kamal. Despite their pioneering efforts it was felt that their translations were not up to the desired standards. Hence it was decided with the concurrence of Maulana himself to ask Dr. Zafar Ishaq Ansari to undertake a new translation which he had finished up to chapter Al-Nur (as published by MMI, New Delhi). However Dr. Ansari has not only completed the translation of the whole of the Arabic text up to the end but has also revised his own translation done up to the chapter Al-Nur making necessary corrections, amendments and improvements as stated by him in his preface to the one-volume abridged edition. Abul Ala Maududi: an academic and intellectual study by Dr. Rafiuddin Hashmi and Salim Mansoor Khaled published by Idara-e- Marafe Islami Lahore, 2006. A comparative study of Tafhimul Qur’ān of Maududi and Under the Shadow of Qur’ān of Martyr Sayed Qutb - published in Abul Ala Maududi: an academic and intellectual study cited above pp 141-188. Tafhimul Qur’ān, a contemporary and social Tafsir by Mohd. Ali (in Persian), Head, Teachers Training Institute, Tehran, Iran, (Tarjumanul Qur’ān, Spl. Issue No.2, May, 2004 pp.288-292). Maududi’s methodology in interpreting the holy Qur’ān by Prof. Aleefuddin Turani, editor Muslim Kashmir, (Spl.issue of Tarjuman cited above pages 293-302). Maulana Maududi’s efforts for writing the Tafhim by Hakeem Khaja Iqbal Ahmed Nadwi, Tazkarae Sayyed Moududi Vol.2 pages 303-313, Idare Marafe Islami, Lahore. A revolutionary book: Tafheemul Qur’ān by Prof. Khursheed Ahmed published by Al-Manshoorath, Lahore. Foreword by Prof. Khursheed Ahmed: Towards understanding the Qur’ān translated by Dr. Zafar Ishaq Ansari Pp 9-18. Preface to the above work by its translator Dr. Zafar Ishaq Ansari. Numerous other studies also ponder over the tafhim and its noble author, Syed Abul Aala Maududi; however due to limitation of space and considering the objective of this short introduction, we will limit our references here. 'Towards Understanding the Qur'an abridged version' is a fresh English rendering of Tafhim al-Qur'an, Sayyid Mawdudi's monumental and masterly Urdu translation of the Qur'an and abridged commentary. This is a work with one of the greatest scholars of 20th century who whose intellectual and logical faculties were unparalleled in his time. An immense wealth of profound understanding of the Qur'an, a vast treasure of knowledge and deep insight, and a valuable exposition of some social, political, economic and legal teachings of the Qur'an have been encapsulated in these three volumes. But what makes this work unique is that it presents the Qur'an as a book to be lived by, a mission to be lived for, and a duty that a reader can no longer evade or postpone. This rare quality is imparted not only by the depth of Maududi's scholorship and style of exposition, but also because he lived by what he expounded as his life abundantly proves. This book is highly appreciated by new Muslim brothers and sisters as it provides them with necessary background and essential context for the chapters of Quran as well as the individual verses. Click here to go back to language selection! In case of difficulty in downloading any of the files below, this LINK can be accessed to use alternate download options.